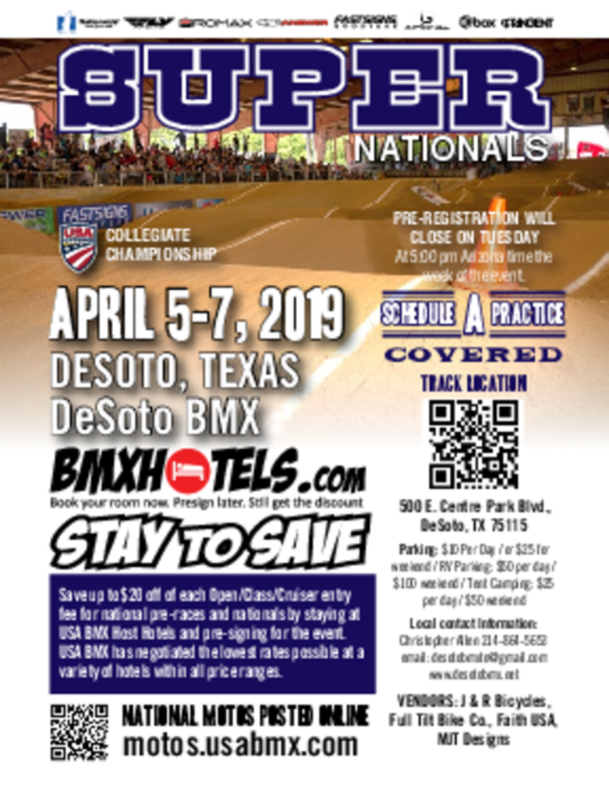 Description: STAY TO SAVE - Save up to $20 off of each entry fee for National Pre-Races and Nationals by booking your hotel at bmxhotels.com and presigning for the event. USA BMX has negotiated the lowest rates possible at a variety of hotels within all price ranges. Pre Registration will close on Tuesday at 5pm Arizona time the week of the event.